Browse: Home / WS-Attacker v1.8 – a modular framework for web services penetration testing. 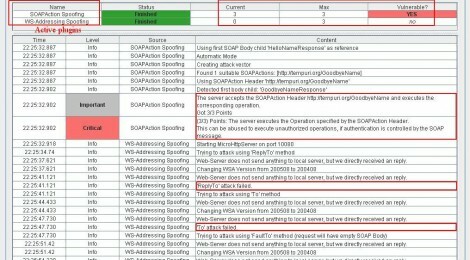 yeah.. we wrote againt ws-attacker for analyze & studying; Big Data, XML SOAPAction, Mobile Service and Data Compression in Network Services on Mobile App Server/Front-End and Java Web Application. 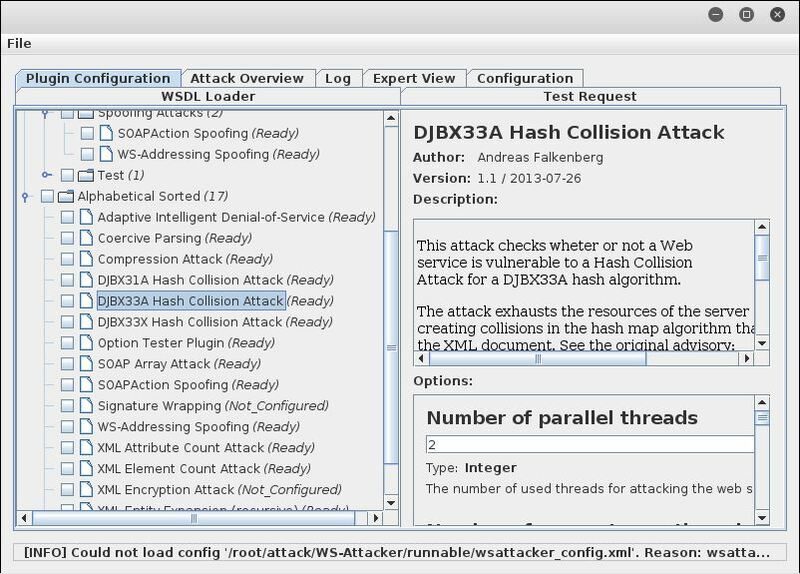 WS-Attacker is a modular framework for web services penetration testing. 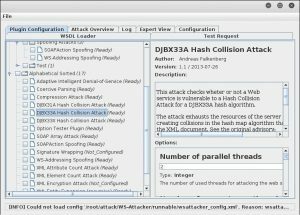 It is developed by the Chair of Network and Data Security, Ruhr University Bochum (http://nds.rub.de/ ) and the Hackmanit GmbH (http://hackmanit.de/ ). The basic idea behind WS-Attacker is to provide a functionality to load WSDL files and send SOAP messages to the Web Service endpoints (which is executed using the underlying SoapUI framework). 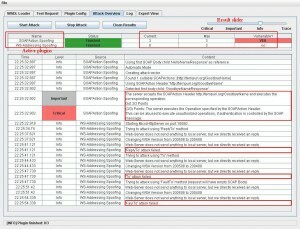 This functionality can be extended using various plugins and libraries to build specific Web Services attacks. — Attack on CBC Ciphertexts. — Attack on RSA-PKCS#1 Ciphertexts using direct error messages. — Attack on RSA-PKCS#1 Ciphertexts using a CBC weakness. git clone https://github.com/RUB-NDS/WS-Attacker.git && cd WS-Attacker mvn clean package -DskipTests cd runnable java -jar WS-Attacker-1.8-SNAPSHOT.jar lets run..
← STB – Security Tools Builder.